Luv-a-Doodle has been exclusively breeding the Labradoodle for 10 years. Providing wonderful family companions and working dogs alike. Offering excellence in both health and personality with various generations of the Miniature & Petite sizes. We have all colors from cream,red, apricot, chocolate to the parti coloring and phantom and sables. We breed for quality and not quantity so litters are very limited. Puppies are hand raised from birth and begin to learn socialization skills, gentle eating, housebreaking and crate training. We also offer a 2 year Health Guarantee and ACHC registration and so much more. Please visit our website for more information and available puppies. Doodle Heaven is located in the Beautiful state of Arkansas! 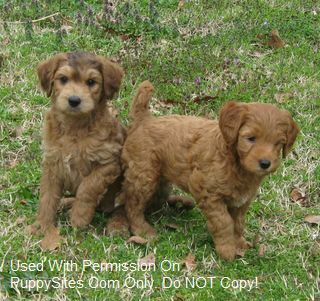 We focus on raising wonderful, well tempered American and English line Goldendoodles and Miniature American and Australian Labradoodles! We Specialize in the unique and beautiful colors such as Sable, Phantom & Parti, we also have the Beautiful Red, Apricot, Silver Beige and Cream to white colors! 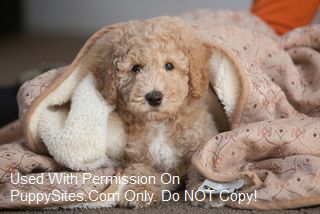 All our puppies are raised and loved in our home, receive preliminary house training and come with 2 year guarantee, LifeTime Support and offer re-home policy for every Doodle Heaven puppy. We perform the Bio-Sensor program and the Aptitude Testing on each and every puppy!